Kenya Airways has launched direct flights to Abuja in Nigeria from its hub at the Jomo Kenyatta International Airport (JKIA) in Nairobi, paving way for closer ties between the two countries. 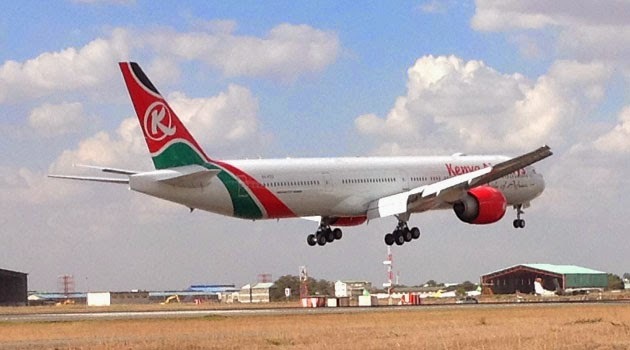 Kenya Airways will now be flying four times a week between its hub at the JKIA in Nairobi and the Nnamdi Azikiwe International Airport in Abuja. The launch comes on the heels of the recent state visit to Nigeria by President Uhuru Kenyatta as the two countries seek to further cement ties. In recent days, there has been a flurry of activity between the two countries as business magnates conduct high level investment trips to scout for investment opportunities in either nation. Speaking during the launch of the direct flights to Abuja, Eng. Michael Kamau, Kenya’s Cabinet Secretary for Transport and Infrastructure reiterated the significance of the direct flights in boosting the bilateral ties by increasing the level of interaction between Kenya and Nigeria. “Enhancement of intra-African trade is one of the key objectives of our government and transport is a key element to the success of this goal. President Uhuru Kenyatta, together with the rest of the government, is determined to ensure that relationship between African countries is strengthened. Direct flights between different nations’ capitals such as the one we are launching between Nairobi and Abuja are key in achieving this objective, besides creating new opportunities for business, industry and tourism,” Eng. Kamau added. Abuja becomes the second Nigerian city that Kenya Airways flies into and currently, the airline has a daily service of ten flights of which seven are direct to Lagos. The introduction of the flights to Abuja follows a review of the Bilateral Service Agreements by the Kenyan and Nigerian governments in 2013.